Following his last Bhunna-produced releases in HERO & DEMI, Comethazine makes his way back today with who-else but Famous Dex for an ecstatic new collab titled BOY DON’T CAP!. Over the animated production, both artists took turns unleashing their catchy verses on taking your girl, pulling up with the heat and people ‘capping like hats’ which you may have seen was the main theme of the cover art. If you’re a regular over here, you’re very well aware of the sprouting talents of Comethazine and when he & his counterpart in Dex come through with a connection like this, there’s no better showcase of why they are both riding their respective waves right now. Be sure to tune-in for the latest heat from Comethazine titled BOY DON’T CAP! 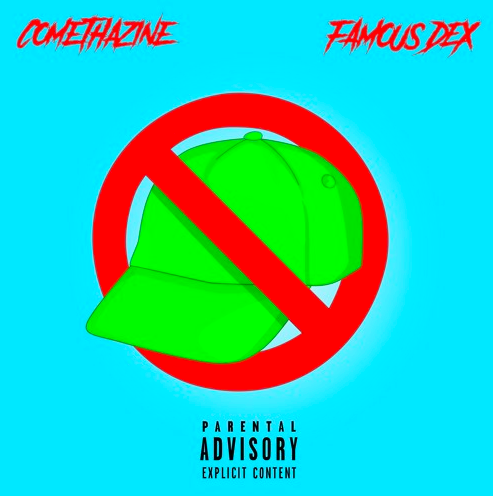 with Famous Dex and let us know if this track is making it’s way to your playlist.